If you are planning a car rental holiday this summer to Malaga, you need to be prepared well in advance. There are a lot of people trying to book deals right now for their summer travels. The most expensive part of the peak season looks to be July. In this month the car rental prices for Malaga, Spain are getting high any place you look. If you have some flexibility, it is a good idea to take your vacation either in June or August when the prices will be lower. If you can take your holiday earlier or later in the summer, it can help save you a lot of money on car rental. Another good reason to go at this time is that the demand for vehicles is lower and you will face less competition from other tourists. 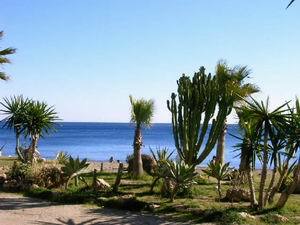 The price for a car rental Malaga during a week in June is only 105 USD if you book today. That is a really good price compared to many other websites and many other time periods. Similar to June, if you can wait until August to go on holiday, you will be able to find low prices. The rates for an economy car rental in the month of August start from just 135 USD. Although that is higher than June, it is nothing compared to the prices that are found in the middle of July. If you have your heart set on a car rental holiday to Malaga (or any other popular destination) and you must go in the height of the peak season, you need to book the car rental early. There is no way you find a good price if you wait any longer. The vehicles are going fast and the rates are increasing daily. Listed below are the prices right now for each of the classes of car rental Malaga for one week in the middle of July. It is important to remember that these are the absolute lowest prices in each class. If those models are not available, you can expect to pay even more. These prices will most certainly be on the increase as well and that is why you need to book now if you will want to have a car rental in Malaga this July. For the other months, you have some leeway, but not much. Make sure to get in while you can because these deals are going fast.